Macon Speedway and POWRi officials have come to an agreement for a reschedule date of Saturday, October 3 for an event that was postponed on August 22. Rain hit the Macon County area around 6:00 that night, which forced everyone to call it an early evening. After much deliberation, the October 3 date was agreed upon for a season finale at the high banked 1/5-mile. 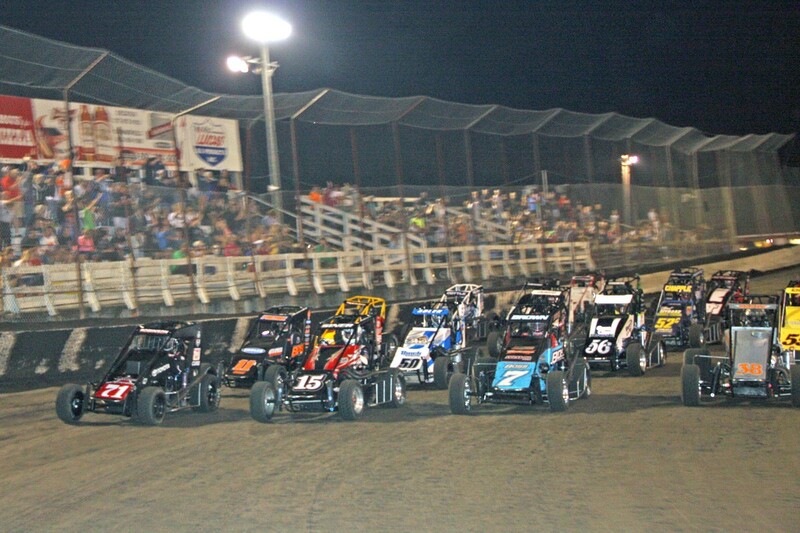 On the August 22 show, 33 competitors were in the pits for the Midgets in addition to 33 Micros. Those teams, plus a number of others are expected to be on hand October 3 to give Macon Speedway fans a great sendoff into the offseason. Open wheel veteran, Darren Hagen, currently leads the standings for the POWRi Lucas Oil National Midgets. Andrew Felker trails him by over 700 points, while Austin Brown, Kyle Schuett, and Spencer Bayston are in the top five. In the POWRi Speedway Motors Micros, Nathan Benson leads the way in the national standings. Ayrton Gennetten, Aaron Adruskevitch, Joe B Miller, and Joey Wirth complete the top five. That battle is much closer than the Midgets, as just 70 points separate the top two. For the stock car fans, the Midwest Big Ten Series Pro Late Models and the UMP B-Mods have also been added to the season finale. For the Pro Late Models, it will be championship night for not only the track but the Big Ten Series as well, determining the champ. Right now, Springfield, IL driver Guy Taylor is in good position for the sweep, leading the Big Ten standings and closely behind, Tommy Sheppard, Jr. in the track points. Due to this additional race for Pro Late Models and a big Pro race at Spoon River, their event on September 26 has been pulled from the schedule. Pit gates will open at 3:00 on October 3, grandstands at 4:00, with hotlaps beginning at 6:00 when the pill draw ends, and racing starting at 7:00.